How much would it take to fix crumbling bridges, potholes? 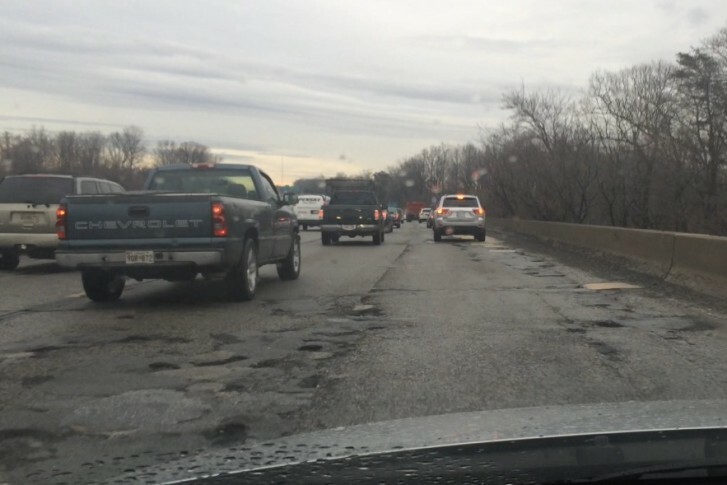 WASHINGTON — Fixing potholes and problems with pavement and crumbling bridges across Virginia would cost $10.6 billion, according to estimates presented to the Commonwealth Transportation Board this week. Alternatively, just to reach the more achievable performance targets Virginia’s Department of Transportation would take about $764 million in each of the next two years for pavement projects, and an additional $832 million next year for bridges. Maintaining those improvements and other roads in the commonwealth would then take approximately $1 billion. “It’s a large number, and we’re still working towards getting there,” VDOT Chief Engineer Garrett Moore says. He emphasizes that the numbers are just ballpark figures, since actually initiating so many of the much-needed fixes at once could raise prices and stretch contractors thin. Although VDOT ratings of interstate pavement in the state have been improving, the conditions of pavement on other roads have been slowly slipping in recent years. A Metropolitan Washington Council of Governments report issued earlier this year found that the region as a whole needs to invest at least $24.5 billion over the next 15 years or so just to catch up on basic needs for rail, road and bridge projects.